Many people find it difficult to maintain their home. The last thing you want to do when coming home from a hectic day is to see a filthy home. To avoid this, you have 2 options either spend hours cleaning or hire a maid service. The time you spend not cleaning gives you more time to focus on other things. How do you know you need to find a maid service? What are the signs? If you are a busy professional, you may find yourself working long hours, and too tired to keep up with the cleaning. Perhaps, you have anxiety over having someone come by your home for a visit. What if they wanted to come over tonight and you only had a few minutes to clean. Could you do it? What rooms would you keep them out of or show them? Is the table clean in the dining room, or what about the kitchen, are there dishes in the sink? Are the countertops and floors clean? If this sounds like you, do not be embarrassed. You do not have to live this way. There is a reliable cleaning company that provides maid services in NYC and their cleaners are dependable and affordable. There are numerous options you have with maid services. When talking with a professional they will inform you that you are not committed to any long term contracts, they offer free estimates, and their professional cleaners are bonded and insured. The cleaning schedules offered are every day, every other day, weekly, bi-weekly, monthly, and last minute. Cleaners are very flexible and will work around your schedule. Hiring cleaning experts is a wise decision because they have the expertise and technique as well as the proper cleaning equipment to have your home looking exceptionally tidy and fresh. No matter what area in your home you require to be cleaned, professional cleaners will tackle it whether it is your kitchen, bathroom, bedroom, dining, living, or family room. No job is too small or big for them to conquer. Cleaners also offer additional services such as doing the laundry, washing dishes, cleaning and defrosting freezers and so much more. When you use maid services in NYC there will be no more stressing over a dirty home. Cleaning professionals will make sure your home is spotless and smelling fresh when you walk through the door. Having a clean and tidy home will give you the opportunity to focus on your family and relaxing. Do not delay any longer and book an appointment today for maid services, contact Todays Maid Service by visiting their website! Getting what you want from maid services in NYC should be no problem, but oddly enough it can be. There are 5 main things that you should be able to get from a maid service at the very least to ensure that you are getting the type of service that you deserve. If you are not getting these five things that you should reconsider the company that you are using. Everyone has different expectations when it comes to maid services in NYC for some people they just want a quick cleanup and for the space to look good for other people they expect that they will get detailed attention and they have special instructions for how to get that detailed attention which leads to the very first, likely one of the most important of the 5 things you should expect, flexibility! Here are the 5 with flexible options at the top of the list! 1. Flexibility– flexible options are the key to providing the best customer service. Some people like a standard package of cleaning services and that is fine, but you want the option to switch things up, add services or delete what you do not need. Flexible cleaning options is key. 2. Reliability– if your cleaning people are supposed to be there on Thursday at 2 and they consistently are late or rescheduling, this is not the kind of service you need. Typically, when you have your cleaning person or people coming in you are prepared for that, not showing up, being late or rescheduling puts you out. 3. Quality work-far too many companies take pride in their work. You deserve a high quality cleaning job that follows your instructions and that is done by professionals. 4. 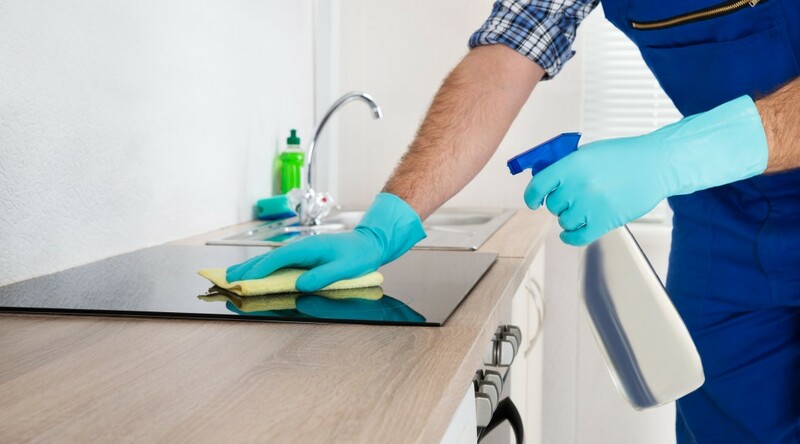 Thoroughly vetted cleaning staff– in today’s world before you let anyone into your home or business be sure that you are dealing with a company that takes your security first and foremost and always has background information on each of their employees. 5. Satisfaction guaranteed– your satisfaction should be very important to your cleaning staff and it should show. If you are not happy with the results you should be able to voice that and the company should be willing to make it right. Don’t suffer with a maid service that is not meeting your needs. You can choose Today’s Maid and get the results you need!